Stock indexes are edging mostly higher in morning trading Thursday, shaking off an early stumble. Energy and industrial companies climbed, offsetting losses in technology and health care stocks. The price of crude oil rose. KEEPING SCORE: The S&P 500 index rose 1 point to 2,723 as of 10:14 a.m. Eastern Time. 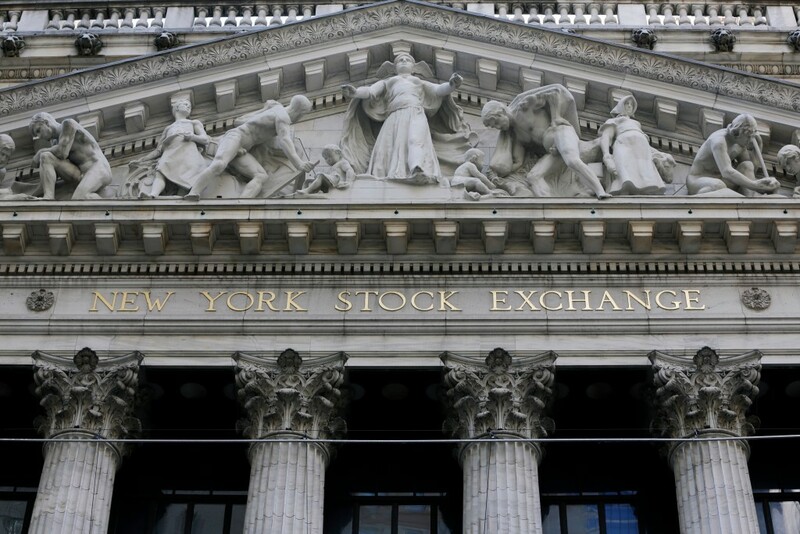 The Dow Jones industrial average edged down 4 points to 24,764. The Nasdaq composite lost 3 points to 7,393. Two stocks rose for every one that fell on the New York Stock Exchange. SLICK DEAL: Williams Partners jumped 6.2 percent to $40.81 after it agreed to be acquired by oil pipeline company Williams Cos. in an all-stock deal they valued at $10.5 billion. BEEFING UP: Kroger climbed 3.3 percent to $25.78 after the supermarket operator said it's increasing its investment in the British online grocer Ocado as it fends off Amazon.com and other online threats to traditional grocers. The subscription rights agreement will give Kroger access to Ocado's online ordering, automated fulfillment and home delivery technology in the U.S.
SWITCH OFF: Cisco slid 3.7 percent to $43.49 after the seller of routers, switches and software's latest quarterly results disappointed investors. The slide in Cisco helped pull technology sector stocks lower. WORRISOME OUTLOOK: J.C. Penney slumped 7.8 percent to $2.83 after the struggling department store chain's cut its outlook for the year. NOT WELL: Wells Fargo fell 1.3 percent to $54.31 after the Wall Street Journal reported that some employees in its business banking division improperly altered information on documents related to corporate customers. ENERGY: Benchmark U.S. crude oil rose 41 cents to $71.90 a barrel in New York. Brent crude, used to price international oil, rose 45 cents to $79.73 a barrel in London after briefly moving above $80 a barrel, its highest level since November 2014. The rise in oil prices gave energy stocks a boost. Valero Energy gained $4.1 percent to $119.75. BOND YIELDS: Bond prices were little changed. The yield on the 10-year Treasury held at 3.10 percent. CURRENCIES: The dollar rose to 110.77 yen from 110.25 yen on Wednesday. The euro weakened to $1.1793 from $1.1802. MARKETS OVERSEAS: In Europe, Germany's DAX gained 0.6 percent, while France's CAC 40 rose 0.5 percent. Britain's FTSE 100 added 0.5 percent. Major indexes in Asia finished mostly lower. Japan's Nikkei 225 index added 0.5 percent. Hong Kong's Hang Seng fell 0.5 percent. The Kospi in South Korea slid 0.5 percent. Australia's S&P ASX 200 dipped 0.2 percent.